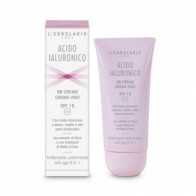 L'Erbolario Laboratories have always placed their commitment to protecting and enhancing the long-lasting youth and health of your skin at the centre of their Research projects. 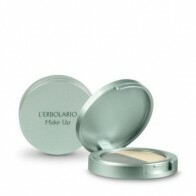 L'Erbolario Make-Up is an innovative line designed to bring out your full natural beauty and femininity. A collection of special products because they are naturally 100% Made in Italy. Only highly select raw materials and a pool of plant-derived active ingredients that reflect the very high natural aspect of L'Erbolario Make-Up products. L'Erbolario Make-Up. You can count on it. 100% Made in Italy This is also a collection of special products because it is naturally 100% Made in Italy. ...our commitment to only formulate products with strictly selected raw materials, subjecting them to chemical analysis and clinical experimentation in order to: To monitor the content of seven metals: *Nickel - Lead - Arsenic - Cadmium - Mercury - Antimony - Chromium to minimise the risks of allergy and thereby protect the most sensitive skin types and eyes. It also demonstrates excellent skin tolerability through diligent clinical experimentation (in vivo testing on volunteers, in vitro testing and ophthalmological testing) aimed at discovering any potential of irritation and allergogenesis. The research evaluation was carried out at the Dept. of Internal Medicine and Medical Therapy at the University of Pavia. It is in harmony with the Environment. L'Erbolario Make-Up. with the Environment. Our make-up offers an additional guarantee: even the packaging materials are manufactured with the highest possible percentage of recycled material* and are, in turn, recyclable. The lipstick container is made with 80% pre-consumption recycled material (Second Life Plastic), and is, in turn, recyclable. The eye pencil - Kohl, is made with FSC® certified wood (wood from responsibly managed sources). Some containers can also be taken apart: the mirror can be easily removed and used a second time. 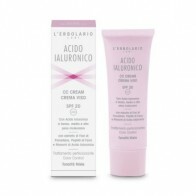 "Because, at L'Erbolario, we think that true beauty must always have an ethical profile".